A look at the marvel and majesty of historically black college and university (HBCU) bands, their culture, their universities, the personalities and performances that make them so unique. There are new leaders in both divisions of the ESPN/The Undefeated HBCU Band Rankings coming out of November, the final full month of halftimes at classic games, band battles and football playoffs. The Norfolk State Spartan “Legion” Band took over the top spot from the Marching Wildcats of Bethune-Cookman, which had led the previous two Division I rankings. Norfolk State marched to No. 1 with top rankings in drum major and second place in percussion. 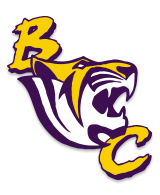 The Benedict College Marching Tiger Band of Distinction displaced Fayetteville State as the No. 1 Division II band, on the strength of being tops in percussion and No. 2 in musicality. The sixth and final ranking of the season comes out the week of Dec. 15, after judging of all the shows and competitions is completed by the panel of nine judges. Although Fayetteville State fell to No. 5 in the Division II ranking, Jorim Reid, director of bands for the Broncos, appreciates the feedback judges give bands after viewing their performances. 1. +7 Norfolk State 1. 5. 5. 2. 3. 2. -1 Bethune-Cookman 4. 3. 3. 6. 6. 3. +1 Jackson State 8. 1. 2. 7. 14. 4. +3 Southern 6. 2. 9. 10. 2. 5. -3 Tennessee State 2. 4. 7. 5. 15. 6. Florida A&M 5. 9. 1. 3. 9. 7. -4 North Carolina A&T 11. 7. 4. 1. 1. 8. -2 Prairie View A&M 9. 17. 10. 13. 5. 9. Alabama A&M 7. 15. 13. 11. 4. 10. Hampton 19. 8. 6. 8. 10. 1. +7 Benedict 11. 6. 2. 1. 12. 2. +1 Miles 1. 3. 7. 7. 4. 3. +3 Winston-Salem State 10. 7. 1. 2. 19. 4. Edward Waters 3. 1. 6. 4. 13. 5. -4 Fayetteville State 14. 13. 3. 3. 6. 6. -4 Virginia State 5. 10. 8. 9. 8. 7. Central State 2. 2. 13. 12. 2. 8. -3 Elizabeth City State 6. 12. 5. 5. 5. 9. Morehouse 4. 9. 11. 10. 1. 10. Fort Valley State 17. 8. 4. 8. 10. Drum Major: Conducting, baton carriage, utilization of space, marching technique, accuracy and definition, style and discipline. Drill and Design: Intervals and spacing, creativity, marching style, precision in timing, definition of patterns, showmanship, instrument carriage and showmanship.